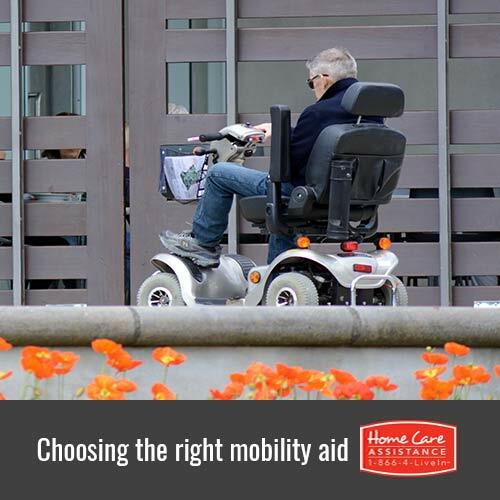 What Aid Is Best for a Senior with Limited Mobility? Certain ailments that come with age can lead to the need for some sort of mobility aid. Many aids are good for occasional use, while others may need to be used on a full-time basis. Depending on your elderly loved one’s condition, there are a variety of aids to choose from. The staff at Home Care Assistance, a leading provider of senior care in Guelph, has put together a list of mobility aids that may help make your loved one’s life easier. Simple folding canes offer just a small amount of support, which makes them perfect for seniors who don’t have major issues with walking but still need a little help with balance. They are also beneficial for seniors who need additional support but are unable to hold onto a walker due to a stroke or another disability. The four-pointed base of the quad cane offers more support than a traditional folding cane. Quad canes provide light to moderate support depending on the width of the base. This type of cane is an excellent choice for seniors with slight balance issues or those receiving Guelph stroke care who cannot maneuver a walker due to hemiplegia or weakness from a stroke. Folding walkers are lightweight and easily portable. They are also stable, making them ideal for seniors who need to keep weight off of one leg due to surgery or injury. A senior can use the walker for support and stability as he or she takes the pressure off the recovering leg or foot. Folding walkers are not meant for extensive outdoor use or use on uneven surfaces. Rollator walkers are sturdier than folding walkers and can be used both outdoors and indoors. They work well for seniors who need help with balance but not necessarily support. Since rollator walkers also have a seat, they are an excellent choice for older adults who become fatigued when walking for longer distances. These lightweight, collapsible wheelchairs can easily be stowed in the trunk of a car. They are designed for seniors who have difficulty walking longer distances and will have someone with them to help push. Because of their lightweight design and limited support, transport wheelchairs are not meant for full-time use. If your loved one has experienced a stroke, or has developed Parkinson’s or another condition that makes navigating the home difficult, an hourly or live-in caregiver in Guelph can provide the assistance he or she needs. 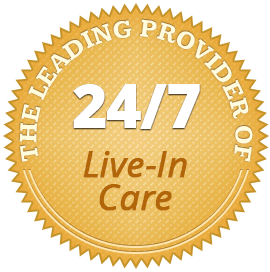 At Home Care Assistance, our caregivers are available 24/7 to help with mobility, exercise, transportation, and many other important tasks. For more information on our elderly care services and to schedule a complimentary consultation, call one of our qualified Care Managers at (519) 954-2111 today.